It’s finally Strawberry season here and I bought my very first batch this weekend, without a particular idea in mind on what to do with them. As I strolled through the supermarket, I was already daydreaming about strawberry ice cream…or maybe strawberry margarita? Or a good old strawberry tart? There are so many ways with strawberries…On my way out, I passed the newsagent and the cover of the current french Saveurs magazine caught my eye. It was featuring a very tempting looking strawberry dessert, presented in verrines. Since Saveurs is one of my favorite food and cooking magazines anyway, I went in, bought it and tried the recipe the same evening. It’s very quick and easy to assemble and can be prepared in advance and refrigerated until the moment you want to serve it. I made it a couple of hours ahead and the shortbread was still crunchy, despite the mascarpone creme topping. Wash and hull the strawberries, carefully dry them with some kitchen paper. Cut them in small dices and set aside. For the mascarpone creme, mix the mascarpone cheese, the single cream, the vanilla (scraped of the pod with a teaspoon or the tip of a knife) and the sugar in a bowl and whisk to combine. Beat the mixture until you get a smooth creme. Put the shortbread fingers into a plastic bag with a zip (freezer bag) and seal the bag after letting the air inside escape. Break the shortbread into small pieces and if you like crush, them on the kitchen top counter to obtain crumbs. To assemble the trifle, place an equal part of shortbread crumbs in the bottom of your verrines. 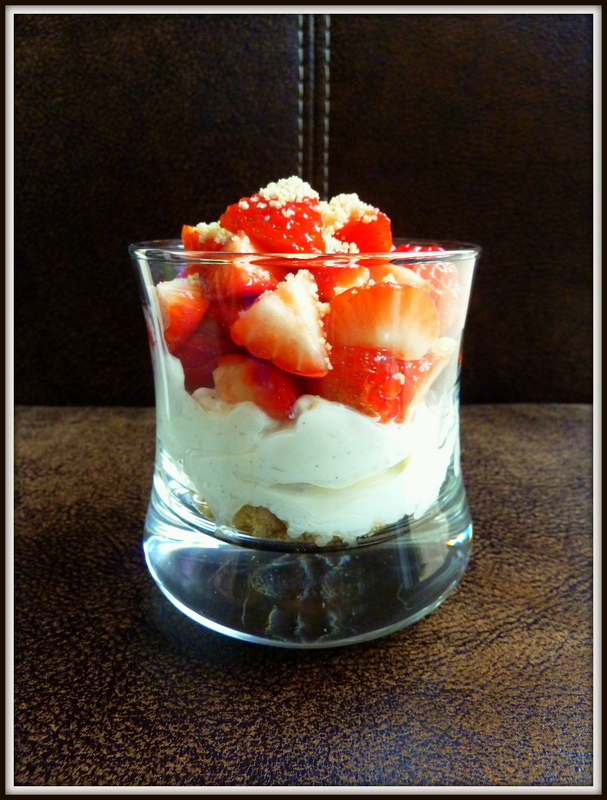 Top with mascarpone creme and finish the trifle with a generous layer of fresh strawberries. 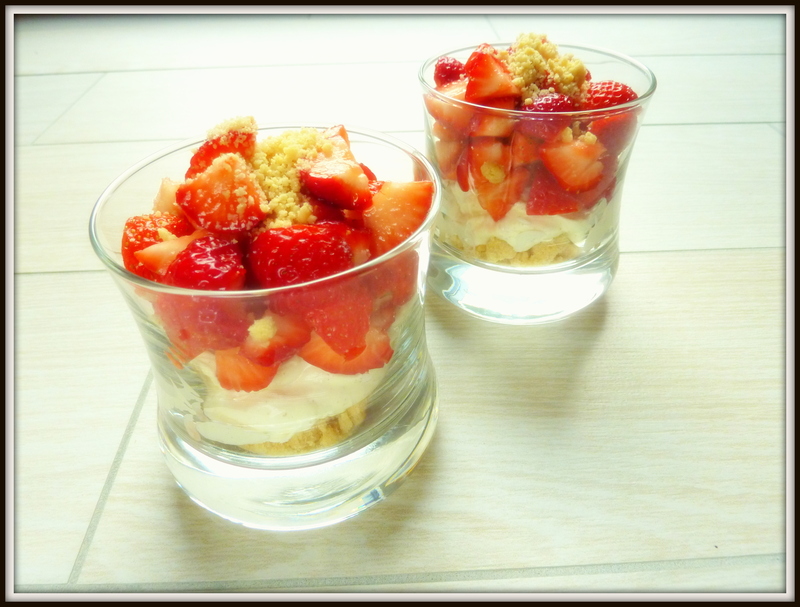 If you want, you can add a dollop of mascarpone creme on top of the strawberries or some more shortbread crumbs for decoration. Enjoy!